Is hip, knee or shoulder pain restricting your enjoyment of daily activities? With the latest advancements in joint replacement surgery, most Americans suffering from osteoarthritis can be assured of relief of pain and the ability to live a fuller, more active life. In fact, according to national statistics, 90 percent of patients experience good to excellent results following the replacement of a troublesome joint. The success rate of these procedures, coupled with the growth of a retirement-aged and 30-something population experiencing arthritis pain, has let to an increase in the number of joint replacement surgeries performed annually. In 2002, approximately 381,000 total knee replacements and 193,000 total hip replacements were performed in the United States, compared with 167,000 and 127,000, respectively, 10 years before. In an effort to better serve the populations of Cobb, Cherokee, Douglas, Paulding and Bartow Counties, WellStar Health System has opened its center for Joint Replacement, which uses a patient-centered team approach to provide outstanding quality care for patients needing partial or total joint replacements. Developed by a committee of orthopedic physicians, nursing and therapy staff, the Center officially opened with a ribbon cutting on April 27th. Susan Easter, program coordinator, says, "We are excited to bring this new center to our patients. With it comes dedicated physicians, staff and facilities, and the utilization of leading-edge techniques and equipment. Our comprehensivee pre-operative education program has been designed to help patients and family members through the whole process--from initial diagnosis through successful rehabilitation." And becoming pain-free is the objective. Most physicians agree that when joint pain interferes with the lifestyle an individual wants, joint replacement surgery is appropriate. 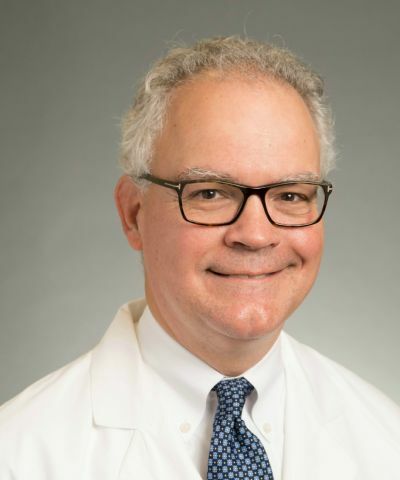 According to Dr. Scott Swayze, an orthopaedic surgeon with Pinnacle Orthopaedics, a key member of the planning committee for WellStar's Center for Joint Replacement, pain is usually a deciding factor in a patient's decision to have surgery. "Surgery to replace a hip, knee or shoulder has been shown to relieve pain and stiffness, as well as to restore motion and independence," he says. "People talk about joint replacemens as being life-altering operations. Before surgery, they aren't able to do anything--go out to dinner, go to church--because of pain in their hip or knee. After surgery, they feel younger because of restoration of mobility. They no longer feel dependent or burdensome." Swayze, who has been affiliated with WellStar since 1992 and was Chief of Surgery at WellStar Kennestone Hospital from 1998-2000, looks forward to a day when WellStar's Center for Joint Replacement will be able to put certain patients on a fast track through surgery, allowing them to go home within 24 hours. "Over time we will be able to convert patients to shorter and shorter hospital stays. We are becoming better at educating patients pre-operatively about their procedure; providing choices regarding surgical approaches, including minimally invasive techniques; and utlizing outpatient and home treatments post-operatively. I imagine someday it will be almost like instant surgery." In conjunction with the opening of Center for Joint Replacement, WellStar Health System is working to ensure that residents of Metro Atlanta are aware that physician experts are available to take care of arthritic problemls at WellStar. "We're trying to let everyone know we're here," says Swayze. "There's no need to drive past WellStar to go else-where. We're as up-to-date on joint replacements as anyone in Atlanta."